Freeman’s Is Coming to Sackville! | Sack-Vegas!!!! Freeman’s Is Coming to Sackville! 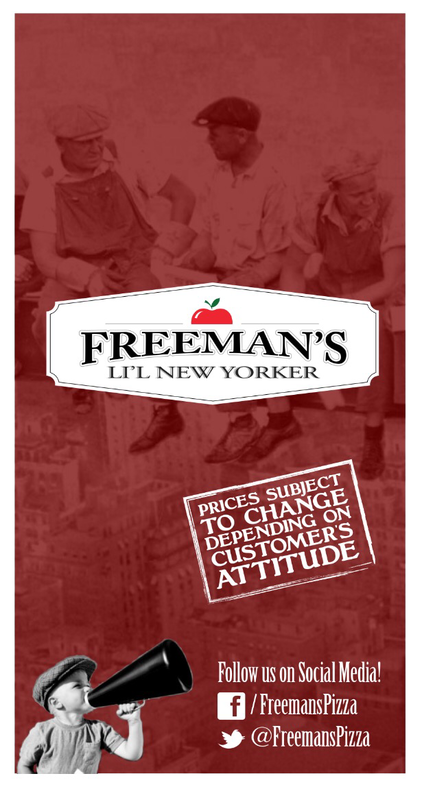 Freeman’s Little New York is setting up shop down at the old Angle’s spot. They have been a popuplar choice for Haligonians (Quinpool) for many years and have finally decided to come to Sacktown! They don’t seem to be just another pizza shop – check out their website and menu HERE. They tend to get involved pretty heavily with the community, I always see a lot of chatter about happenings there on my Twitter feed. They are having a job fair on-site next week… Monday, June 8 & Wednesday, June 10 11am-2pm. Servers, Bartenders, Cooks, Cleaners & Delivery Drivers. Welcome to the ‘Sack, Freemans! Posted by Sacky on June 4, 2015 in Uncategorized.